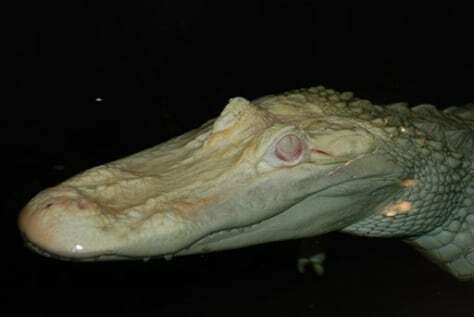 A rare white alligator relaxes in a pool while on temporary exhibit in Knoxville, Tenn. The 12-year-old American alligator is an albino, meaning she has a lack of pigment and pinkish eyes. She is kept inside because her skin would burn in the sun.